Screen wicks are often used in one-of-a-kind, or low production rate heat pipes, since they require less setup than sintered heat pipe wicks. They have moderate capillary pumping capability, and higher permeability than sintered wicks. 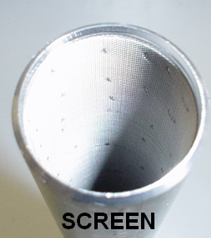 Screen wicks are required for heat pipes with complicated shapes, where sintered wicks cannot be used. One example, a Variable Conductance Heat Pipe (VCHP) with dual condensers and a wicked reservoir, is shown in Figure 1. There is no way that a mandrel could be designed to sinter the entire wick, so a screen wick is required. Figure 2 shows the screened evaporator end caps and the screened reservoir assembly. Figure 1. Alkali metal Variable Conductance Heat Pipe (VCHP) with two condensers, and a wicked reservoir. Screen is the only suitable wick for this device. 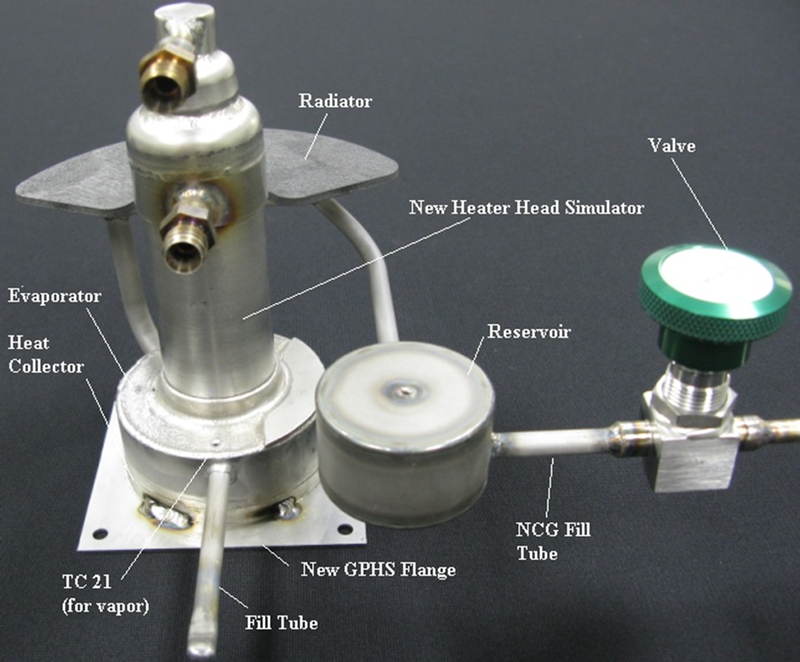 Figure 2. a) Evaporator end caps (screened) b) Reservoir parts (screened) c) Reservoir assembly. Annular Heat Pipes used in Isothermal Furnace Liners (IFLs) also have screen wicks. As shown in Figure 3, these heat pipes have inner and outer envelopes. Bridge wicks are added to return liquid from the inner cylinder to the outer. As the heat pipe is heated and cooled, the inner and outer cylinders can expand/contract at slightly different rates. Fabricating the bridge wicks from screen provides the flexibility to accommodate the differential expansion and contraction. Figure 3. Annular heat pipes have screen wicks, since they are more flexible as the heat pipe is heated and cooled. Screen wicks are specified by mesh size. For example, a 100 x 100 mesh screen means 100 wires per inch in both directions. Available wire size vary by demand, and by the ductility of the material. For example, 150 x 150 mesh Titanium, 400 x 400 mesh Monel, 1000 x 1000 mesh stainless steel screens are available. Titanium is only available in coarser meshes, because it is more difficult to fabricate. Figure 4. TZM Molybdenum heat pipe with molybdenum screen wick. (a) Components (b) Heat pipe charged with lithium operating at 1000°C.